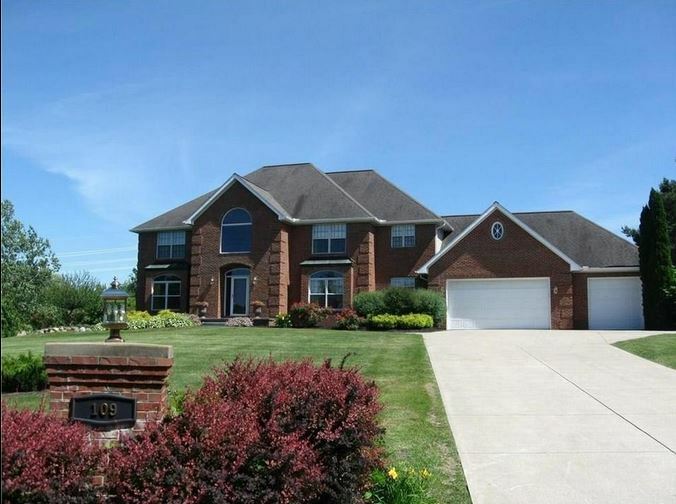 Millcreek residence includes a pool, privacy and 4 acres in a secluded subdivision. So where in the world is Hunters Creek Road? It’s in Hunters Creek Estates, of course. This was a new one for me. This private luxury neighborhood is located off of Hunter Willis Road, and that’s off of Old Perry Highway. Let’s put it this way. It’s south of Young Road and north of Harold Road and in Millcreek Township. At 109 Hunters Creek Road, the home of Jerry and Gina Hess is worth finding. Realtor and listing agent Al Ames, of Howard Hanna Real Estate Services, made it easy to find this place with directional arrows starting off Perry Highway to Old Perry Highway. Follow the arrows, and it takes you to this home in a secluded location that includes 4.23 acres of pristine privacy. Built in 1996, this 4,000-square-foot home has a lot of updates. The owners replaced flooring with some beautiful cherry-colored hardwood that flows throughout the first floor, and it mixes in with tile. Each tile has a wood-diamond center.